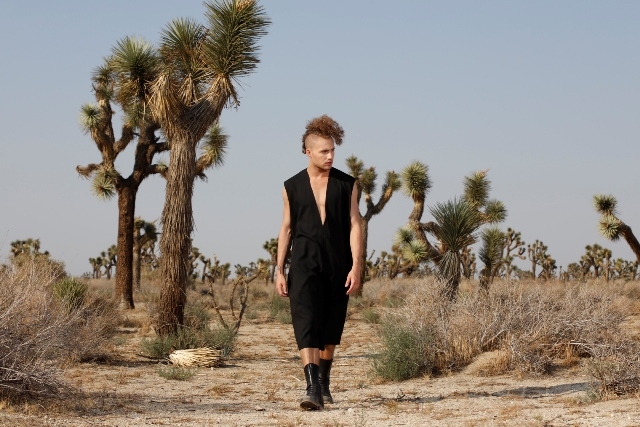 After relocating to Los Angeles from New Orleans in early 2014, nineteen year old Rilan dove head first into his music, dance and acting career. The results after just one year prove that a kid’s dream of moving to Hollywood to become successful in the entertainment business is alive and well and completely possible with the combination of a serious work ethic and incredible talent. As a singer/musician, Rilan has recorded over a dozen songs and worked with an impressive group of producers and songwriters in the studio including Dallas Austin (Michael Jackson, Madonna, Lady Gaga), Damien Page Lewis (Rihanna, Katy Perry, Beyonce) and Justin Warfield (She Wants Revenge, Depeche Mode, Gary Numan, The Bots, Nova Rockafeller). His first music video for the song, “Chemical”, directed by Ethan Lader, is in regular rotation on MTVU and reached over 1.7 million views in less than 6 months on YouTube. 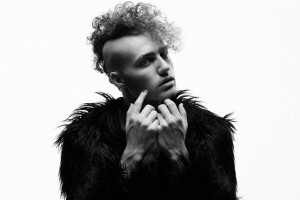 While performing on the live club circuit in Los Angeles, Rilan’s music continued to be discovered and praised by some of the top tastemakers in the media, adding him to the select list of “artists to watch” for 2015. 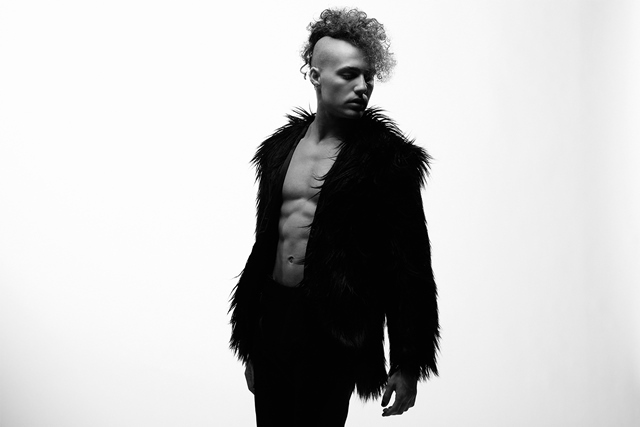 Rilan’s history with dance and acting landed him the coveted role as a Warbler in multiple episodes of the 2015 final season of Fox’s hit show Glee. With this much accomplished in his first year in Los Angeles, his fans are looking forward to what 2016 will bring for this triple threat talent. Thanks so much for your time! So, what were some of your highlights last year? What are you most excited about this year? Thanks for having me. 2015 was a year of firsts for me. It was my first year in my twenties, for one. Other than surviving for that long, I played my hometown for the first time since moving to LA, I made my TV debut on “Glee,” I finally travelled and worked creatively overseas, and I released my first EP. I think the highlight of my year was definitely working with Dallas Austin and creating the music I’ve always wanted to make. I’m really proud of what we concocted together. This year I’m looking forward to continuing to write with Dallas, DJ mastermind Cory Enemy, and Justin Warfield, who’s been one of my idols since I was 13. I’m excited to release some our new creations. In 2014, you moved to LA from New Orleans. What was that transition like for you? Do you ever miss The Big Easy? How do you think being from New Orleans has influenced you as an artist? LA is definitely another world compared to New Orleans. It’s shiny and new and misleadingly welcoming. It took me about a year to find my people here, but now it feels like home. Still, I do get nostalgic every once in a while. I miss the unique culture of New Orleans. I now realize how much my hometown has made me who I am, both personally and creatively. I’m inspired by darkness and the things that go bump in the night. I love gothic architecture and fashion. I’ve always thought that horror is beautiful and romantic. I think growing up in the most haunted city in the United States certainly shaped my strange perspective of the world. My definition of beauty is darker than the norm. How’s your residency been going at The Sayers Club? I hope to attend your show there next month! I’ve loved it so far. Thank you for asking. It feels great to perform weekly, especially in the heart of Hollywood. The club has been reaching capacity each show, so that makes me feel like I’m doing something right. I was a little nervous about having a residency. My show is different than the usual rock club performance. There are dance breaks and costumes and interactive elements. It’s weird and in your face, but people seem to be liking it, and I could not be happier with the turnout thus far. I hope you get to come. I think it’s fun. Growing up, did you always want to be an artist? Can you recall your earliest musical memory? Yes. Always. There’s nothing else I’ve ever wanted to do with my life. I was a theatre kid growing up. I loved performing, but I always felt like something was missing. I wanted to perform and create without boundaries and limitations. I wanted to wear what I wanted and say what I felt like I needed to say. Writing and performing pop music allows me to do what I’ve always dreamed of doing. I’m the happiest I’ve ever been when I’m bringing my music to life on stage. I’ve read that you are like a male version of Lady Gaga. Would you agree with that description? How do exactly? Wow. That’s a very flattering comparison. Thank you. I’ve been a Gaga fan since the beginning, so comparing myself to such an icon is a little mind-boggling. I mean, I have an edgy look, and I’m inspired by androgyny. My performances are theatrical, and my music is electronic and dance-inspired, reminiscent of the 80s and early 90s. I greatly admire her creativity and fearlessness, and I thank anyone who would think me worthy of that description. Can you talk about your experience as a Warbler on Glee? What did you learn from doing that role? Being part of the final season of Glee must have been special? It really was a special experience. I remember watching the series premiere right after American Idol when I was 14. I felt like the characters were my best friends. The fact that I would be part of show six years later still amazes me. I think what I learned most from being on show is the power of hard work and perseverance. This was actually my fourth time auditioning for “Glee.” After so many no’s, I never thought I would get the role, but somehow this time worked. It reignited a fire in me. It made me believe that this opportunity was made possible because I didn’t give up after the first three no’s. 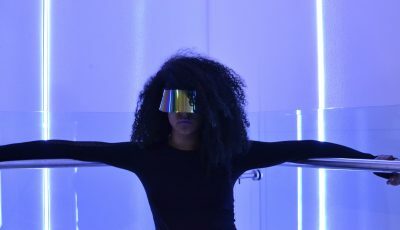 I just focused on honing my skills in all areas of performance, from vocal technique to dance classes to simply carrying myself in a more approachable and self-assured way. I know it sounds cliche and cheesy, but it’s true: you really can achieve success if you never give up. The video for Chemical has accumulated a whopping 2.2 million views on YouTube! Why do you think it’s been so well-received? Are you surprised by all the love it’s getting? Thank you for your use of “whopping.” I never imagined it would get that many views. I am surprised. The video is basically what it looks like inside my head. It’s all black and white and creepy and covered in reptiles and insects and other beautifully scary things in a fashion-driven, 80s-inspired aesthetic. “Chemical” was my introduction to the world. It’s hard to believe that that many people connected to the video and the song and, ultimately, me. I’m so glad viewers and listeners enjoy it. It makes me feel like I’m doing my job. Who are some of your favorite artists today? Who would you love to work with in the future on an upcoming project? Right now, I’m a huge fan of Melanie Martinez. Her music and visuals are so original and impeccably cohesive. 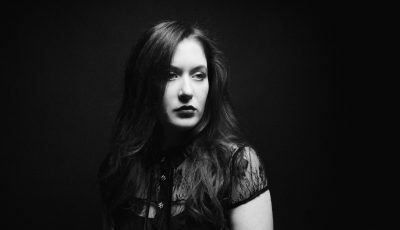 She’s unapologetic with her lyricism, writing about taboos and present social issues, and she presents her musical maturity in a gothic babydoll-themed present topped with a pretty pop bow. I think it’s genius. It’s a fresh take on pop that music really needs right now. You’ve worked with some incredible songwriters. What’s been the most memorable experience with one? What kind of person do you think it takes to be able to write songs? I think my most memorable writing experience was my first session with Dallas. It was like magic. I didn’t have to talk about myself or my ideas or my musical influences. He just got me. Every synth and drum he picked was perfect, and he responded to my melodies and lyrics. It was truly refreshing to work with someone with whom I just clicked, you know? That day we wrote “Abandon My Angels.” That song holds a special place in my heart. While it’s about a toxic relationship from my past, the song represents a new chapter in my life, professionally and personally, and it’s thanks to Dallas that it came into existence. As far as songwriters go, I think we’re just intense feelers. We feel so strongly about something that we have to let it out into the world in a way in which people will listen to us. What better way than through song? What has been the best advice that you have received? My grandfather always used to say, “Nothing beats a failure like a try.” That statement has always stuck with me. I’ve failed a million times, and I will fail a million more. We all have, and we all will, but if you don’t try, you will never succeed. Those words give me the strength to continue working even when I don’t believe in myself. I consider myself a freak. I know I’m weird, but I would never want to be normal. I think normal is boring. I want to show people that being different from others is good. It’s what makes you special. I want anyone who listens to my music to know that I understand what it’s like to be different. I understand what it’s like to be misunderstood, and through my music, you will always find understanding. 6th Annual ELECTRIC FOREST FESTIVAL in Michigan : June 23 – 26. Interviews with PORTER ROBINSON + DUKE DUMONT!